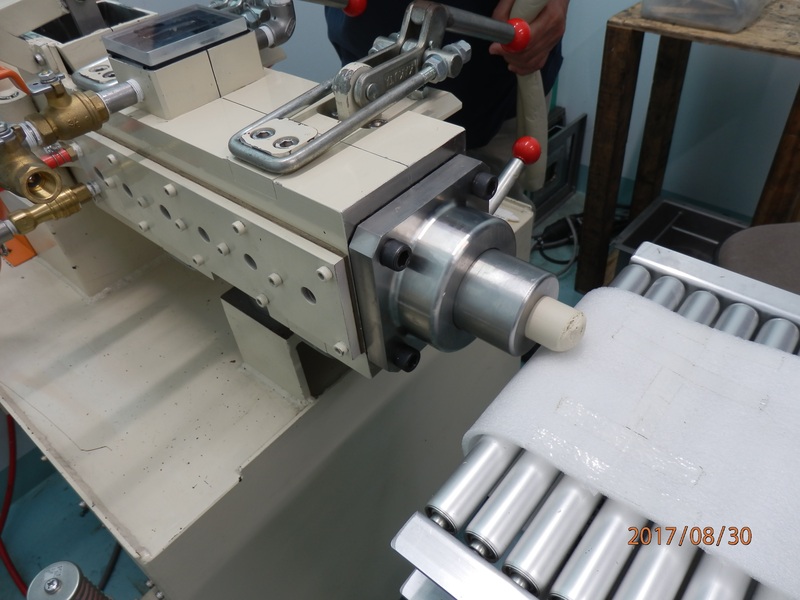 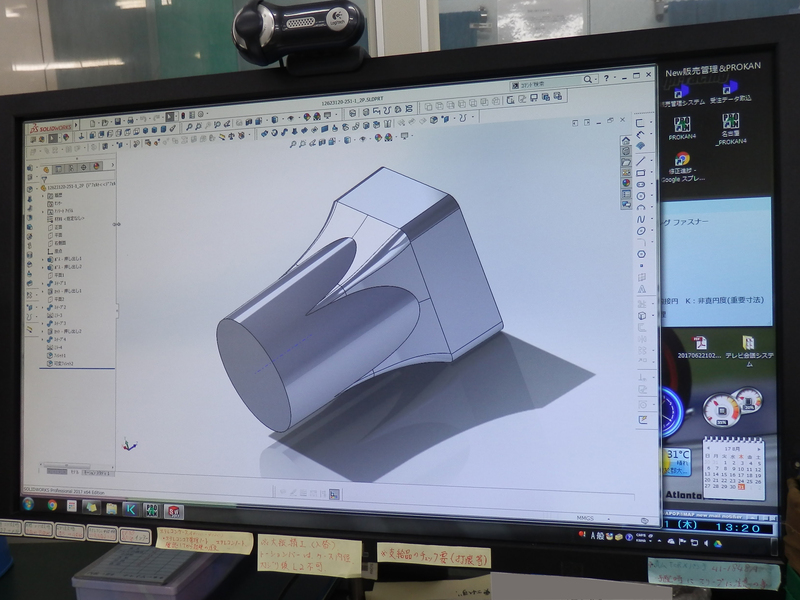 The research and development wing at our Kagoshima plant handles the development of dies, production and manufacturing technology, new products, forging prototypes, etc. 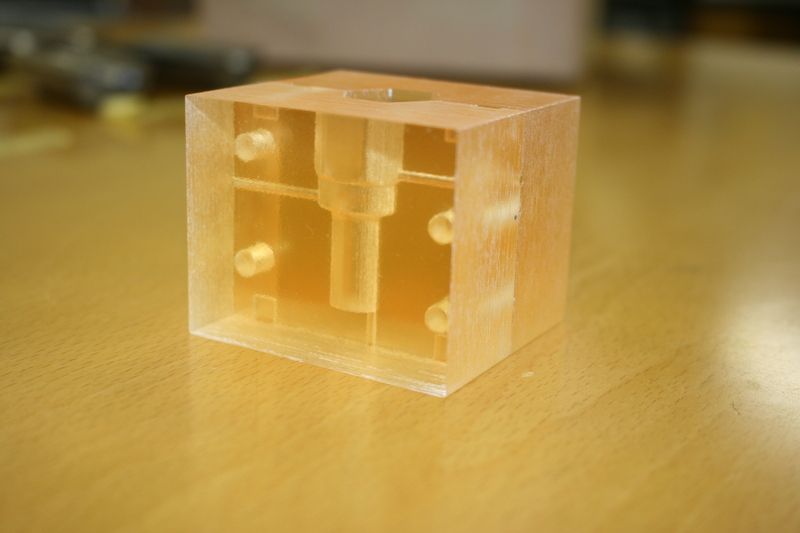 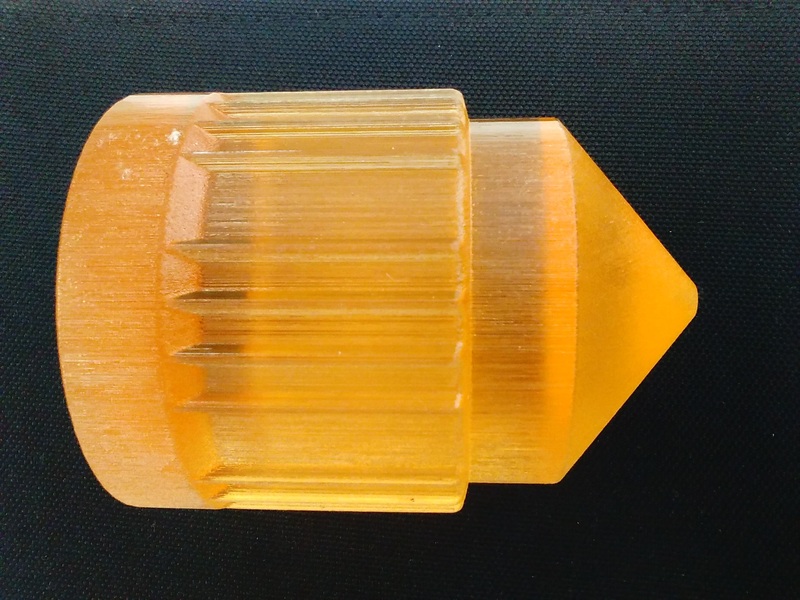 We develop new materials based on a plasticity processing materials that was developed at The Technical University of Denmark and by incorporating our unique know-how. 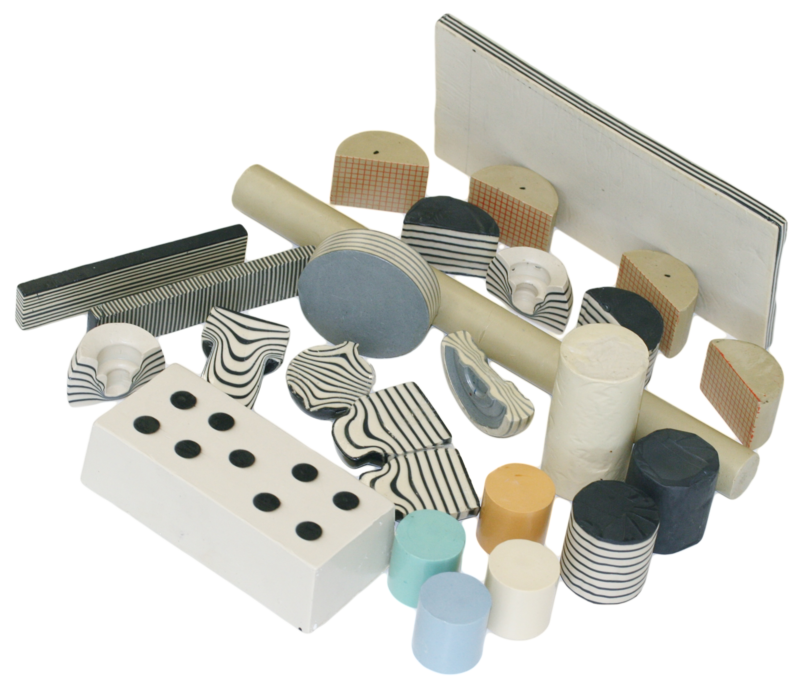 We develop high-added-value dies, creating new products in collaboration with various governmental agencies and universities as well. 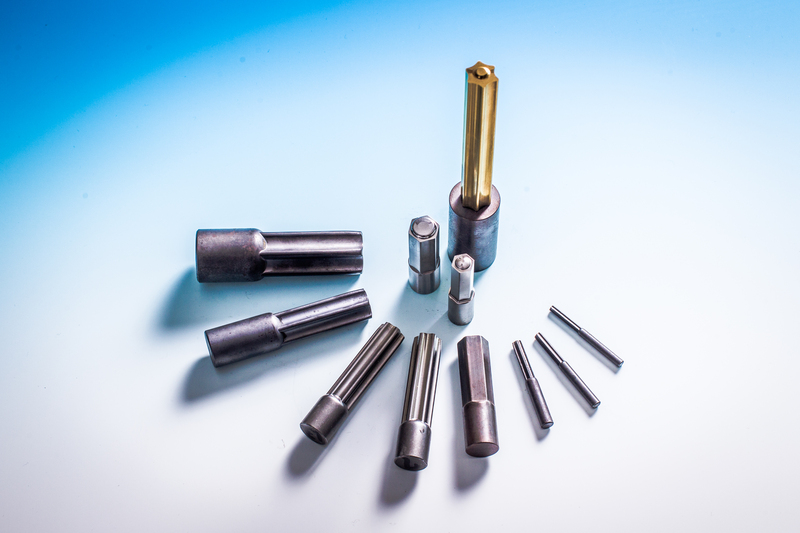 We develop original techniques regarding tools, jigs, machinery, and processing in die manufacturing. 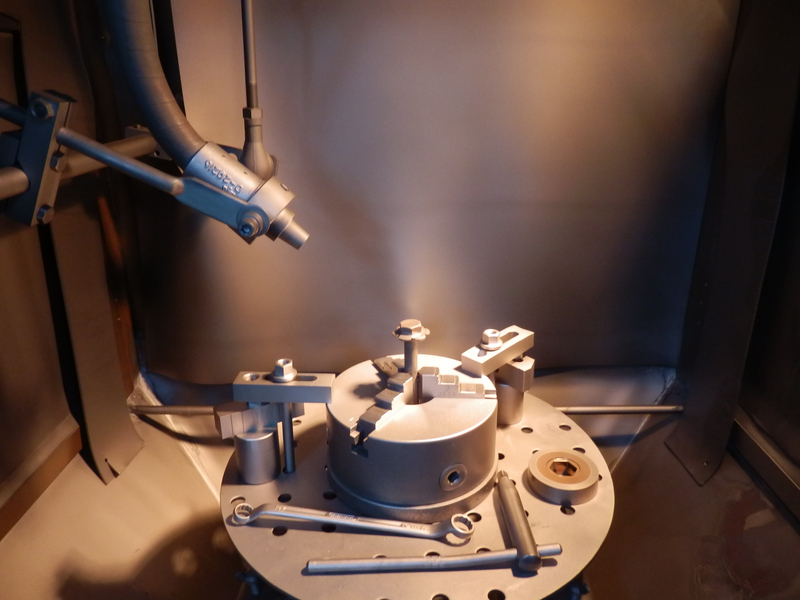 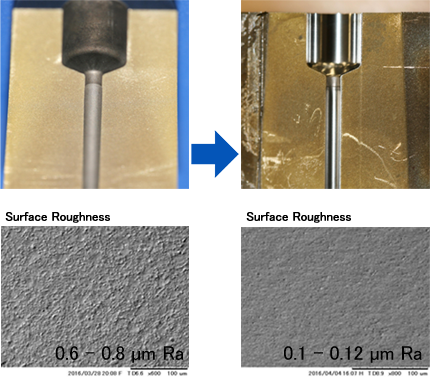 Inteligent Fluid Polishing (IFP) uses a completely different polishing method from conventional practices, enabling efficient polishing of the internal surfaces of dies with narrow diameters, long dies, and irregular dies, previously difficult. 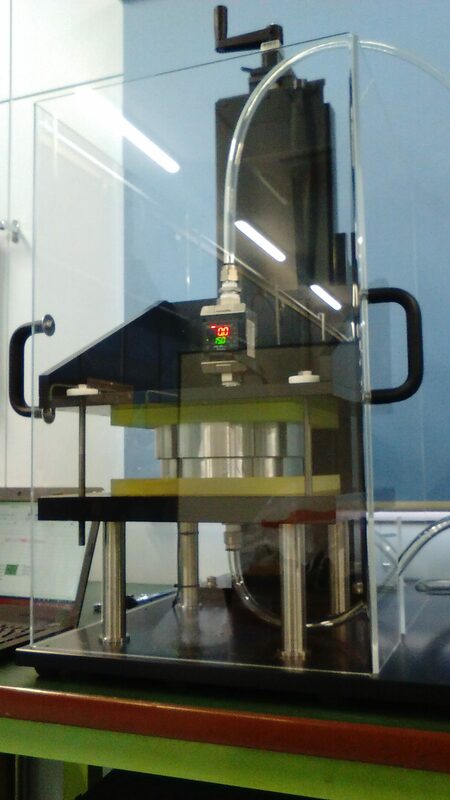 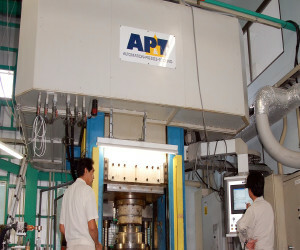 IFP allows efficient removal of the solidified layer created by electrical discharge processing, which could not easily be removed with conventional processing; with the cooperation of MITTE, this newly developed processing method significantly reduces problems in die polishing. 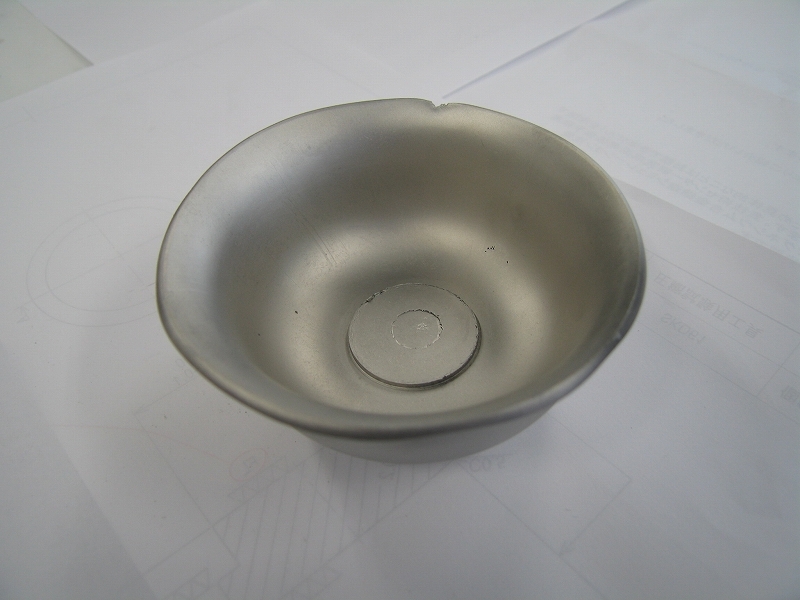 Results: Throughout the top, the bearing and the pinhole area, the affected layer has been completely removed and stable polishing is possible. 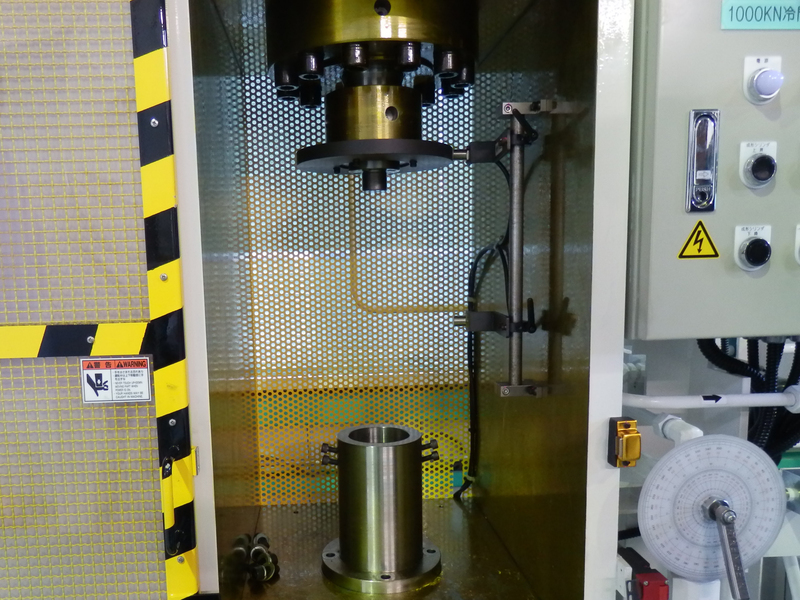 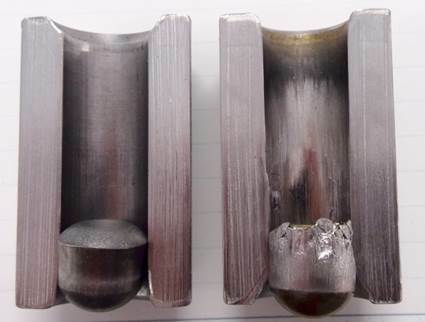 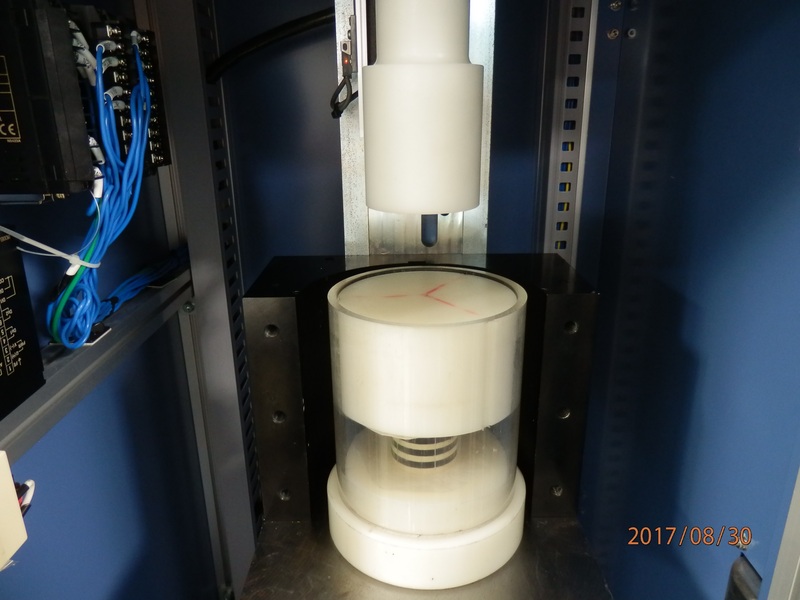 We handle various testing and prototype creation relating to cold, hot, and isothermal forging, including ring compression, ball penetration, and other tests using a multi-cylinder press.